This Doppelganger was sent to me by fellow MMM contributor ldsbishop. 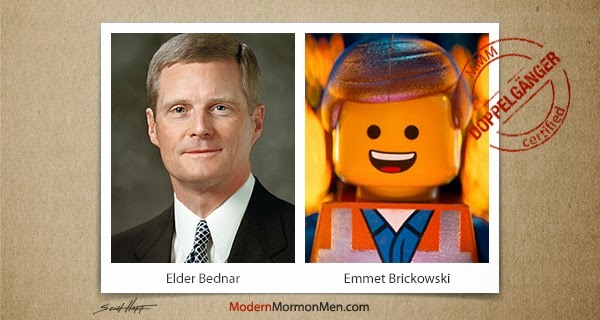 I definitely see the resemblance, but I haven’t seen The Lego Movie yet. You guys may have to help me out with some similarities. From what I understand though, both of them are very fixated on strict obedience to the rules. Oh, and they have the same initials!